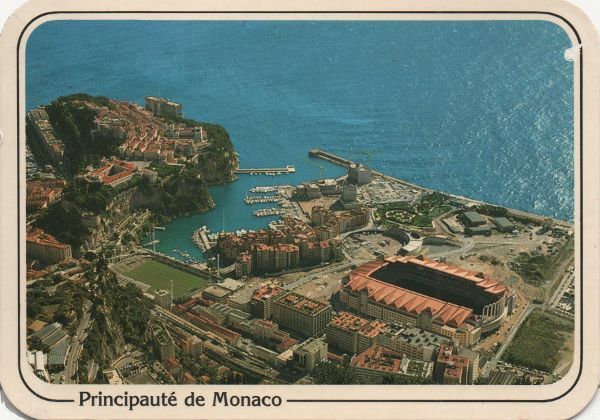 I enjoy collecting postcards from Monaco because it has changed so much over the years. 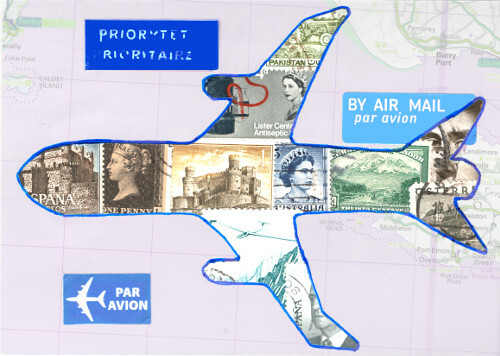 The postcard is an old one showing the development of the newest of Monaco's sectors, Fontvieille, on reclaimed land. The work started in 1966 with the cornerstone being laid in 1981, and looks on the card to be half finished. This is a photo of the same area I took in 2009, from a different direction. No space left. 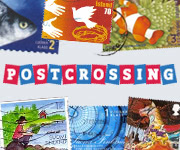 This is a post for Sunday Stamps, now hosted by Violet Sky at "See it on a Postcard!" 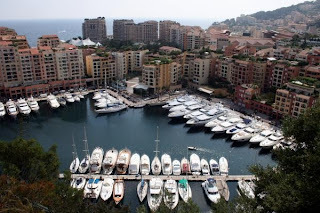 I don't know much about Monaco, but I can well imagine that it has changed a lot over the last few decades! I think I like the mini sheet more than the individual stamps. I've spent some time in Monaco but that postcard view is one I've not seen before. A mini sheet that would have been ideal for 2 weeks hence. I don't really know anything about Monaco. What a change in the view. Minisheets are quite difficult to use, but so nice when you see them complete on a letter or pc. I think I only have one postcard from Monacco, and what you got is absolutely beautiful!!! 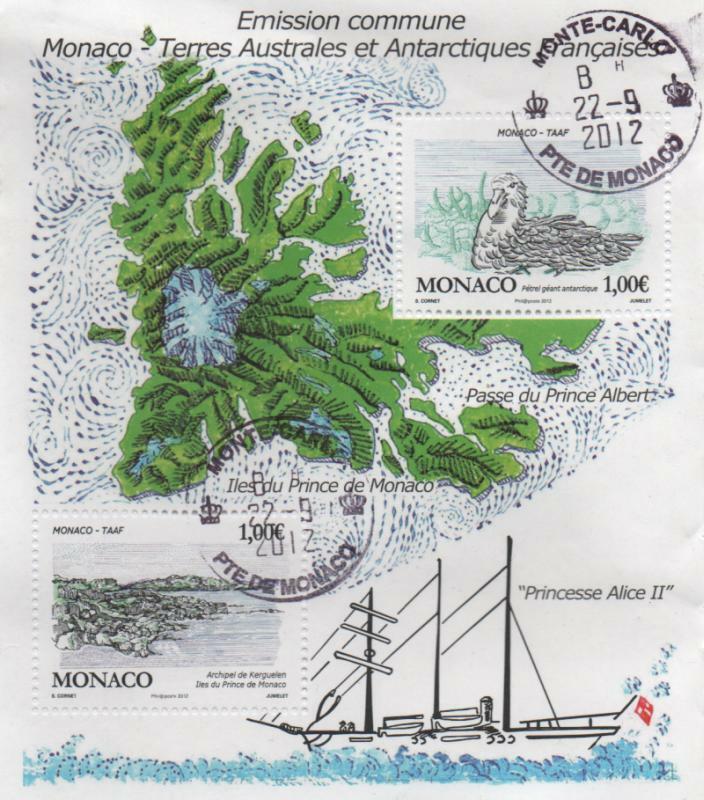 I like the ship making its way around the coast of the mini sheet and I do love a map on stamps. 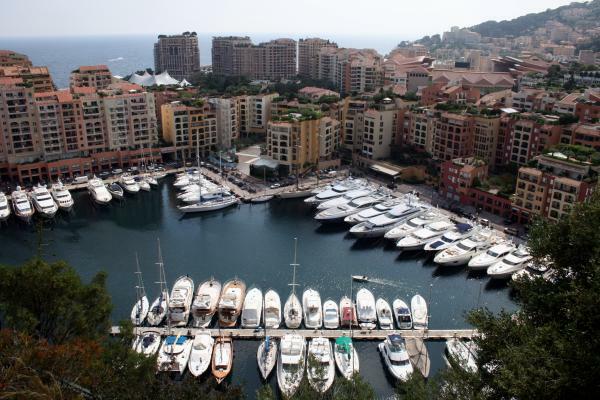 I might prefer the climate of Monaco on a boat though. Like Willa, I only have a single postcard from Monaco, too. I wish I can have more. 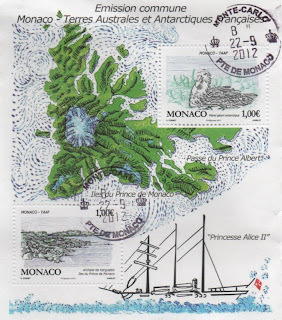 I would also love to see more stamps from there like the one you featured here. I opened the sheet on a new window but still can't read what the bird/duck is on the upper stamp. Can you tell me what it is please? I think Monaco is one of the prettiest places on earth. 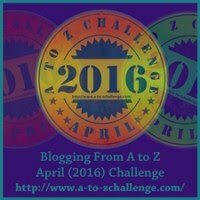 I've been fortunate to visit there several times...usually passing through but, once, I even stayed three days. The harbor is spectacular and, as I was always such a Grace Kelly fan, I make it to the Cathedral to see her grave.